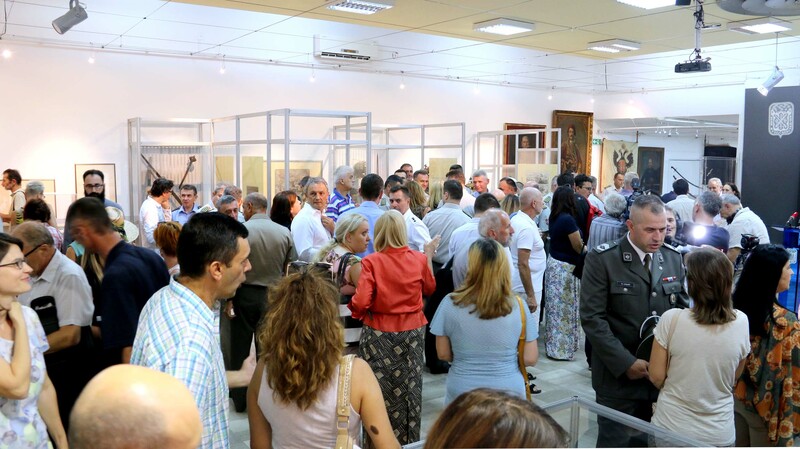 On the occasion of the Military Museum Day – 22nd August and marking its 140th anniversary, an exhibition titled "140 Years of the Military Museum" has been opened in the Gallery of the Museum. Opening of the exhibition, Aleksandar Živković, state secretary at the Ministry of Defence, stressed that the Military Museum has always been recognized as an important segment in the culture and memory of the nation and that it had the role of presenting, through its displays and exhibitions, the Armed Forces and its freedom-loving tradition in the centuries-long struggle for freedom and independence. According to him, the best indicator of the reputation that the Military Museum has preserved for decades in the country and abroad, apart from the success that it attains through notable exhibitions and settings, as well as participation in symposiums and scientific gatherings, is the recognition awarded by president of the Republic of Serbia for special merits for the Republic of Serbia and its citizens in the field of cultural activities - the Second-Degree Order of Sretenje (Candlemas). 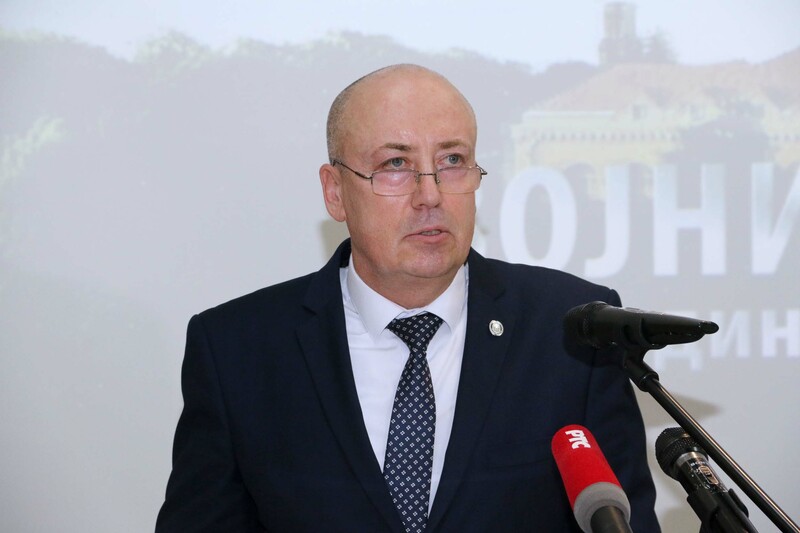 - The rich history of this cultural symbol of our city obliges us to continue with the tradition of evaluating, caring and preserving everything that the Military Museum represents, so that it could continue to be a modern museum institution, state secretary Živković said congratulating the jubilee to all members of the Military Museum on behalf of defence minister Aleksandar Vulin and himself personally. 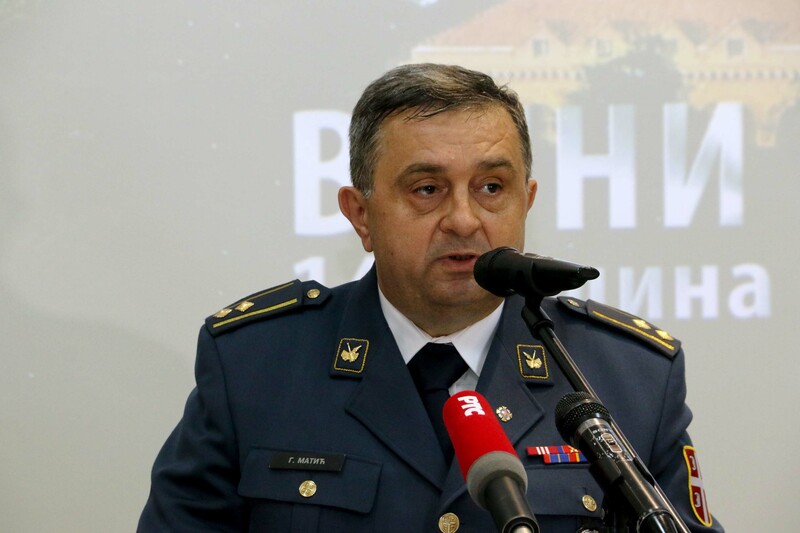 Speaking about the historical significance of the Kalemegdan-based museum, Lieutenant Colonel Gradimir Matić, head of the Military Museum, reminded that it was the oldest cultural institution in the Ministry of Defence and the Serbian Armed Forces, and that the exhibition, which is open today, is chronologically structured by periods, meaning that the collections and personalities illustrate the development of the Museum. - Introduction to the exhibition is dedicated to the Obrenović dynasty that founded the Military Museum and the Karadjordjević dynasty that opened the first permanent museum setting, he said, adding that the exhibition, through six thematic units, tells about the development of weapons, the modes of struggle, medieval Serbia and Europe, Serbian insurgents, the Principality and the Kingdom of Serbia, the Kingdom of Yugoslavia, the Second World War and the SFRY, as well as about the personalities who marked certain periods. Lieutenant Colonel Matić pointed out that the exhibition was dedicated to the generations of museum workers who contributed to the duration of the Military Museum with their work and results, as well as to all those who contributed by their presents and gifts to the museum collections to be rich and diverse. 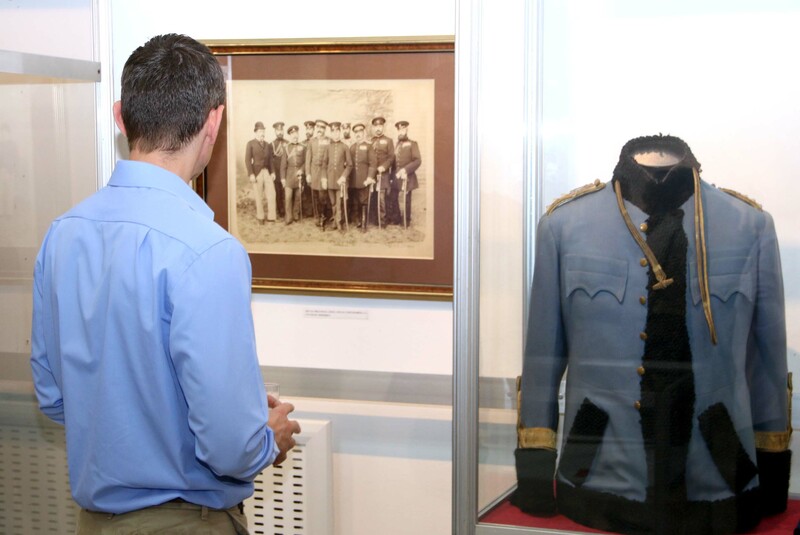 Many items that were found in the exhibition “140 years of the Military Museum” have rarely been exhibited until now. It is for the first time, in honour of the jubilee, that the prehistoric spears, the 10th-century ring, Russian chest emblems, Cossack flags, costumes from Bosnia, dolma that belonged to the participant in the Herzegovinian uprising Arsenije Ivanov Miskin, the English Order of St. Michael and George on the chain, the order of merit star of Field Marshal Radomir Putnik, a uniform of the Austro-Hungarian clerk, as well as some of the original photographs were exhibited. The exhibition is the result of a teamwork that was coordinated by museum consultant Anđelija Radović and included all members of the Military Museum collective. The Military Museum in Belgrade, located on the bastion of the First Southeast Front of the Belgrade fortress, was founded on 22nd August 1878, by the Decree of Prince Milan Obrenović, on the proposal of Colonel Sava Grujić, minister of war. On that day, Prince Milan Obrenovic announced a proclamation of signing the peace treaty between Serbia and Turkey and the state independence of the Principality of Serbia. This also testifies to the importance that was attached to establishing of cultural institutions in a newly liberated country. The Military Museum is today an indispensable segment of the historical, cultural and social life of Serbia, and it won that position by its museological activity – collecting, preserving, exhibiting and publishing objects, or traces of material culture, particularly of its military units, on the territory of Serbia and the Serbian ethnic space.